The reason for HAL_INITIALIZATION FAILED Windows 8 installation error is the choose of unsupported system for Windows 8 setup. 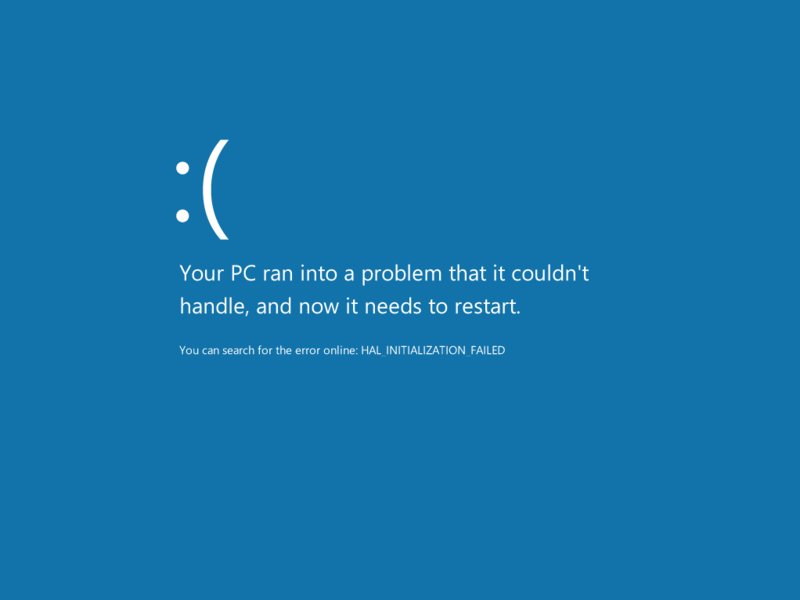 Your PC ran into a problem that it couldn’t handle, and now it needs to restart. I suggest Windos users who are trying to install Windows 8 using Virtual PC, don't do that!